How do you make sure that your needs are met? How well do you take care of, maintain & invest in your health? Your home? Your closest relationships? How about your financial future? When & how often do you take time to simply enjoy yourself? When & how often do you take time to invest in the achievement of your most beloved dreams? If you take a bit of time to answer these questions, you will be left with a fairly decent idea of where you are on the SELF LOVE spectrum. And the awesome news about taking the time to check in with yourself this way is that it affords you the opportunity to improve your situation. 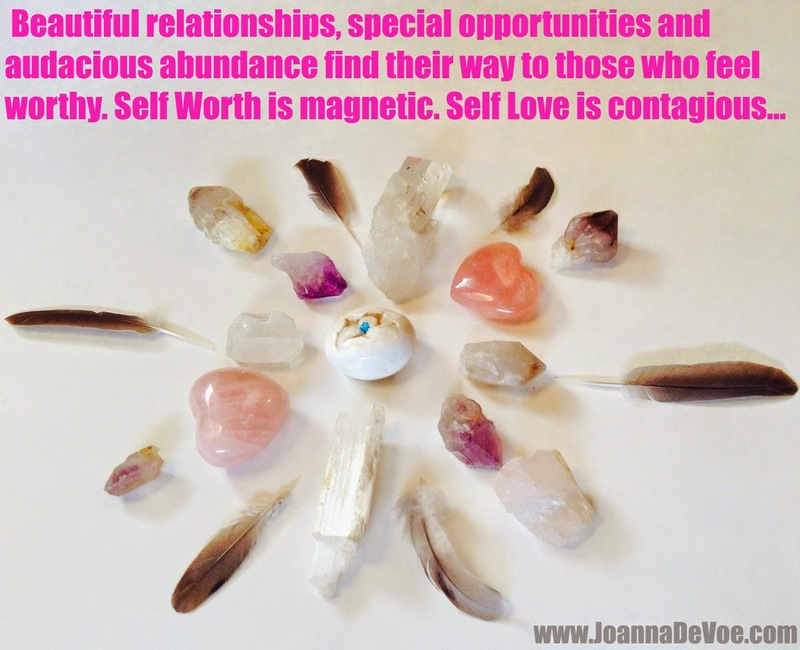 Here's the thing about SELF LOVE... it creates a ripple effect that is deeply profound. It's pay-it-forward at it's very best! You're also going to be that much more powerful, magickally speaking, because Like attracts Like. It has nothing to do with being selfish and everything to do with living your life on purpose, reaching your full potential and being a source of LOVE in the world. Beautiful Joanna! I think I'm doing pretty good with the self-love, based on those questions for sure! I always try to make sure I'm taking good care of myself in every way that I can.